Not every room of carpet is the same. Not just because people have different tastes in types and color of carpet, but because not every installer uses the same procedures through which to install the carpet. This means that while most carpets may have the correct amount of tautness, other may have a superficial tautness, which will eventually stretch out and result in a wrinkled, uneven appearance and feel. 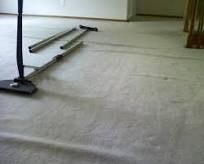 To get best services contact professional Carpet stretching and repair services in Castle Rock, CO. When it comes to proper carpet stretching, there are two types of tools that can be used - a power stretcher or a knee kicker. While each of these tools are effective, the power stretcher is by far the better option, but ultimately how good (or not) the finished carpet installation looks comes down to the quality and skill of the team doing the install. Keep in mind, that there is not an exact science or rule for proper carpet stretching, other than the finished product should meet the wall in a smooth transition, without gullies or protruding face or backing yarns. The amount of stretch a carpet should have is determined based on manufacturer's recommendations and type carpet. Should there not be a manufacturer's recommendation, then tufted carpet with a synthetic backing should be stretched at least 1% in both length and width to ensure that the carpet is properly stretched. Proper carpet stretching and repair in Castle Rock, CO is a must if you want to have wall to wall carpet that looks amazing. Don't settle for a carpet install that is only partially stretched. Your carpets are a big investment and you want them to look wonderful for years to come. Don't settle for less just because of cost. Talk to the experts and know that your carpet will look great.